You will need to download the app to your mobile phone or tablet to view the camera. 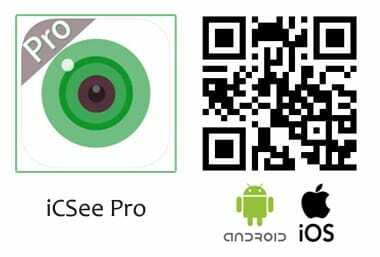 Scan the QR code below or Search iCSee Pro on Apple Store/Google Play. 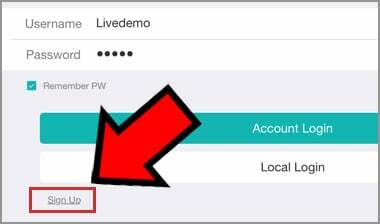 You can access the camera without registering account using the “local login”. However, your mobile phone will be unable to receive the notification message after the camera detect the change in scene. 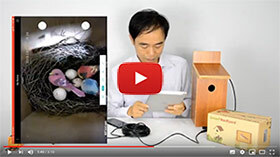 The account also can be shared with your family, friends and watch the birds together at different place. 2. Fill in the form with name and password. 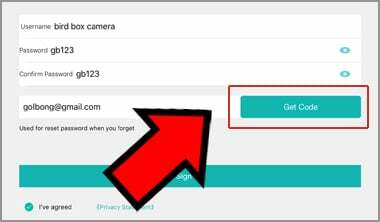 NTOE: The password you create now is for this app account, not for the camera. 3. Fill in the mailbox, tap “Get code”, verification code will be sent to your email. 4. Pick the verification code from your email, Input code. 5. 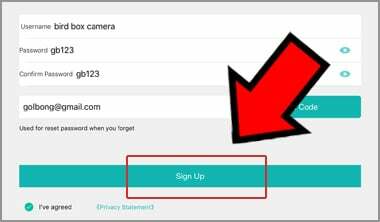 Tap “Sign up” to create a new account.